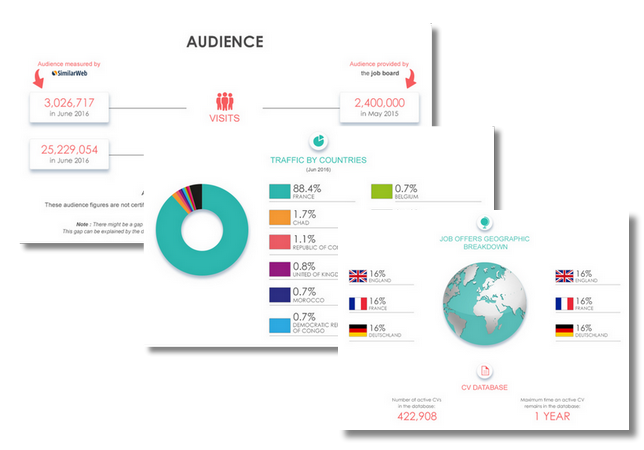 Net-Empregos is the trusted choice with more than 15 thousand active job ads on the site at any one time. Jobseekers prefer Net-Empregos because they carefully validate all recruiters and job ads so you can reach the best candidates. 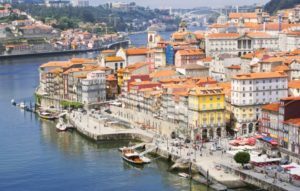 A fantastic brand awareness in Portugal – the first job site to come to mind in the majority of people when asked about online recruitment – guarantees you’ll reach motivated candidates. Net-Empregos is the undisputed No. 1 job site in Portugal with more than 1.5 million registered candidates, over 70 thousand registered recruiters and around 3.5 million visits per month. 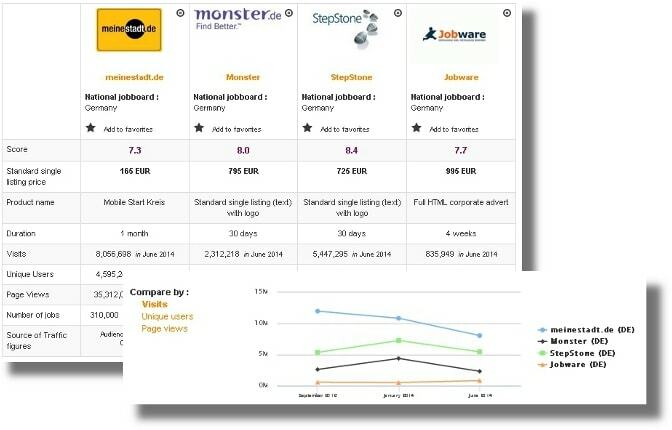 Recruit with a job site that has a strong history: Net-Empregos was the first job portal in Portugal and is now the most used job site in the country with around 65% market share. Net Empregos is by far the #1 job board in Portugal. The platform offers a wide range of job ads which are regularly updated. You need to create an account to apply to any job ad, which slows down the application process. A translation of the website into English would be appreciated by all international jobseekers and employers willing to do business in Portugal. The design of the website is very old fahioned and there a lot of commercial advertising. However, Net Emprego is a safe bet for your job search or recruitment in Portugal. Login here for FREE to unlock access to the traffic audience, content and pricing section for more information on Net-Empregos.